universities, including a master’s degree in composition from Northwestern University. She also studied at Robert Schumann Musikhochschule, Duesseldorf, Germany where she received a Diplom (the equivalent of a masters degree) in composition and a minor in piano. Additionally, she graduated from Yon Sei University with a bachelor’s degree in composition and a minor in piano. Her compositions have been performed in Germany, Asia and the United States and have been featured in several international music festivals. Her work has been published in written scores and on CD. Sopum for Violin solo (소품) was composed in 2004, especially for the First Sejong Music Competition. The theme is based on the Korean folk song, Sangyoungsan. Samantha Bennett (age 18), student of Almita and Roland Vamos and Marko Dreher at the Music Institute of Chicago, began Suzuki violin study at age 6. At age 11, Samantha made her solo orchestral debut with the Central Iowa Symphony after winning their concerto competition. In September 2007, she soloed London’s Wigmore Hall at the invitation of the Razumovsky Academy. Samantha won the 58th Annual Union League Civic and Arts Foundation’s High School String Competition in 2007. 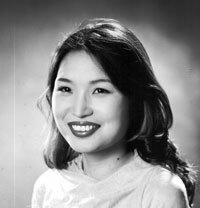 She is the winner of the 2006-2007 Walgreens National Concerto Competition. As the winner of the Tri-State Rising Stars Concerto Competition, Samantha soloed twice with the LaCrosse Symphony in Wisconsin in 2007. She was named a National Finalist Runner-Up in the 2007 ASTA Solo Competition. 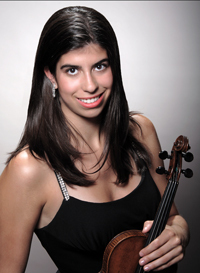 Samantha was the youngest of nine nationwide semi-finalists to compete in The Second National Violin Competition presented by the National Society of Arts and Letters and Lynn University Conservatory of Music in Boca Raton, FL in 2007. She was a semi-finalist in the 2007 WAMSO Young Artist Competition (Minneapolis, MN) and in the 2006 Johansen International Competition. In 2005, she won both the Grand Prize and the Performance Award at the Des Moines Symphony Young Artist Competition and was featured soloist at three of their concerts. Samantha won first place in both state and regional Music Teachers National Association’s (MTNA) Solo Competitions 2004-2005, and received third place as the youngest Senior String National Finalist at the MTNA’s Performance Competition in 2005. As a current Merit Scholarship Award recipient at the Music Institute of Chicago, she is a member of their premier Academy program. Her Ridere String Quartet won the 2007 Rembrandt Chamber Music Competition and St. Paul String Quartet Competition and was a semi-finalist at the 2007 Fischoff National Chamber Music Competition. Samantha is a National Merit Commended Scholar and is accomplished in ballet, pointe and Irish dance; she has also been twice named an Iowa Governor’s Scholar.